Speaking Roewe E50, I believe from last November 5 listed, we had almost forgotten it. Reason of course is also quite normal, it is not the one in the SAIC Roewe brand 4S sales system, which means that you can not see it Roewe 4S shop, it is only sold in the Shanghai area, unless you have a Shanghai hukou relatives, for you to buy a open back, it is also possible. However, these do not affect the Roewe E50 as a quite idea of ​​pure electric products placed on the market, from the product point of view, I think that today there is still need for everyone to bring a simple test drive article, look at this car in the end what excels. From the earliest E1 concept car, is now in front of us to the E50 production car, whenever people have seen a real car, no not look to "fashion", "clever" and other words of praise. 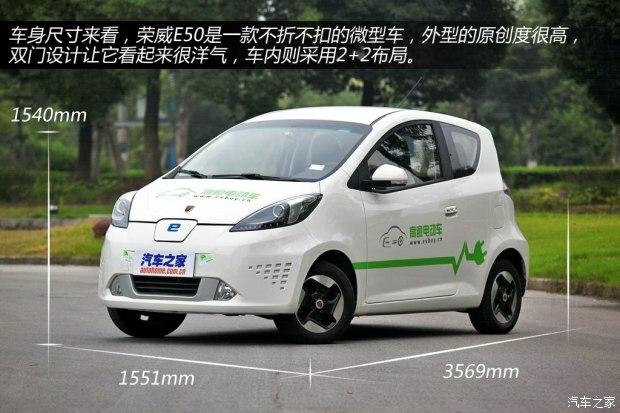 From the body size, the Roewe E50 is a fully-fledged mini-car, the appearance of a high degree of originality, the official design called "dolphin alligator" body, this design can not only show a sense of technology, to meet the new energy vehicles want to show avant-garde ideas, more effectively reduce the drag coefficient and increase interior space utilization. Roewe E50 uses a two-door design, which makes it look very Western style, the car is a 2 +2 layout, the models are also marked on the nameplate which is paid only for 4-passenger car. 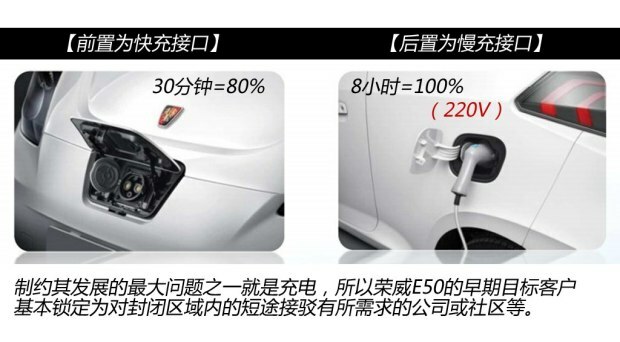 Considering the lack of an internal combustion engine, so Roewe E50 does not use conventional gasoline vehicle front end, huge front grill "e" word below is a quick charging port location. 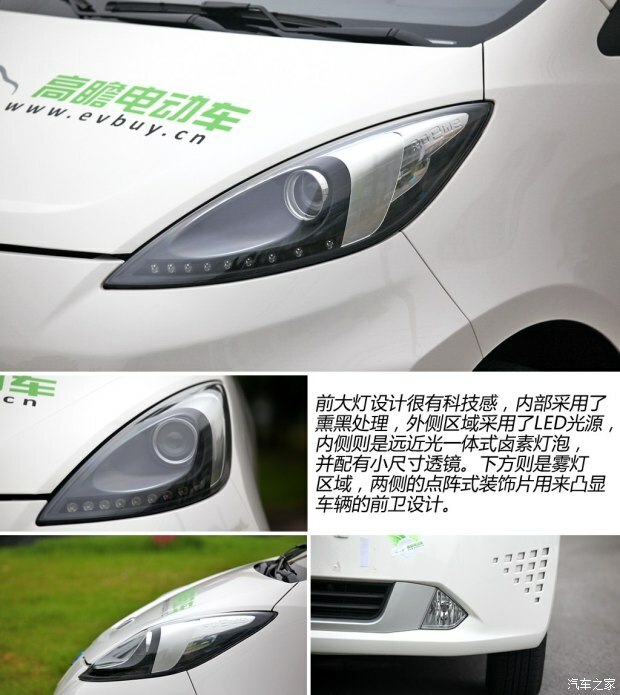 Headlight design is very sharp sense of technology, the internal use of the blackened handling distribution outside lights with LED light source, although not expect its main headlights xenon headlights can be used, but the distance light lens is still a standard formula . Rear have a very strong sense of design, C pillar line treatment rather then the way Citroen C4 coupe, LED taillights and headlights echoes tailgate or the use of the general level of the car's overall style glass material , but with more original shape gene, the disadvantage is the higher ground clearance, handling the things are not easy. For pure electric E50, the exhaust pipe is not needed, so the lower part of the rear and front of the echoes, three-reversing radar E50 is perfectly adequate, both sides of the dot matrix reflective safety film is out upgrading of technology and safety considerations, reversing lights and fog lights are located at either side of the bottom sides. 13 inches Blade alloy wheels just listing feels really quite avant-garde, but because the relationship between the size is too small, over half a year again, actually not so engaging it. 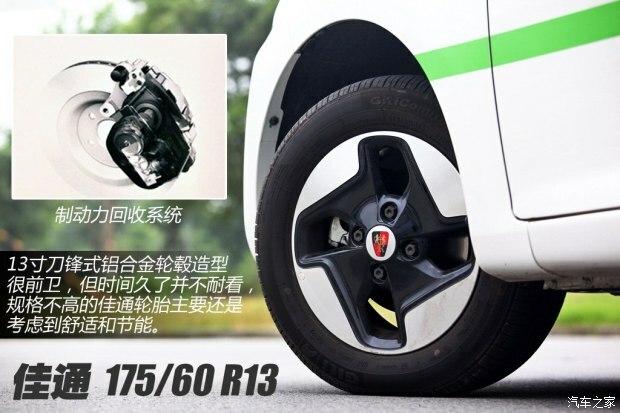 Tires with dimensions 175/60 ​​R13's Giti Tire, mainly taking into account the comfort and energy saving, front-wheel braking system with brake energy recovery system is. Roewe design is perhaps the most brands do not, which is located behind the UK Longbridge and Shanghai, China's two design team contributed to the E50 interior design also demonstrated considerable skill, very international range of children. Center console with a black / beige mix, one type of horizontal layout and asymmetric lines used, called independent brand in the interior of the most beautiful miniature car will not be excessive. The use of materials, to ensure basic handling delicate plastic parts on the basis of those white areas also uses a similar fabric texture soft green material, both beautiful and pure electric vehicles meet environmental philosophy. Three-spoke steering wheel shape simple but not simple, hard and soft foam material just right, and feel very soft. 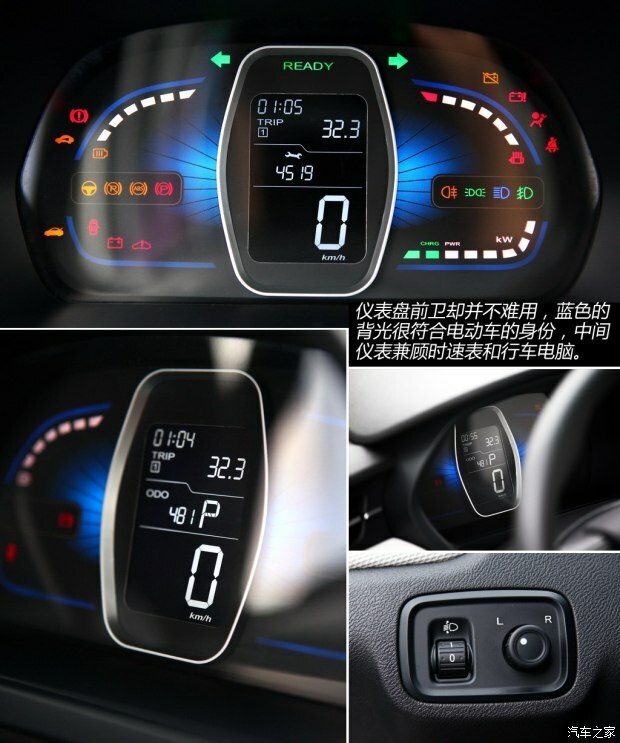 Small size of the dashboard is full of design sense, the faint blue background and identity of electric cars is that the central black LCD screen taking into account the amount of information that is not a small speedometer and trip computer. 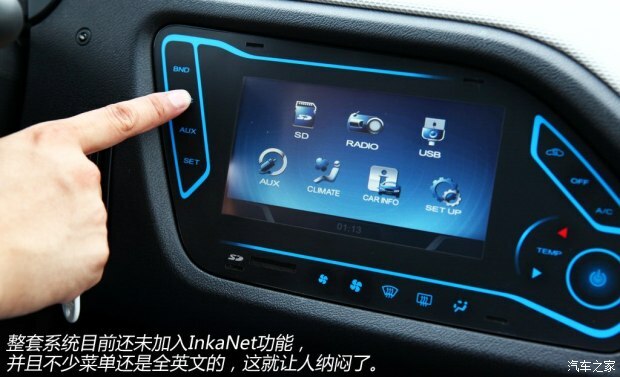 Intelligent integrated interactive system uses a high-resolution 6.5-inch touch screen, from the actual point of view, the screen display is very good, content-rich interface layout is clear and concise, such as air conditioning, radio, battery information and so can where you can find. Screen surrounding electrostatic touch keys feedback fast, almost touching fingers just to stimulate function, but the screen itself feedback will somewhat slower, but the menu is still a lot of English people also use some scratching mind. As a pure electric car, no air conditioning compressor internal combustion engine as the primary drive, the Roewe inevitably need to develop a new system to meet the new car air conditioning operation, so we saw this today on the E50 uses a whirlpool electric compressor inverter technology air-conditioning system, characterized by high efficiency, small size, more suitable for pure electric vehicles. And in the actual shooting, E50 air conditioning system cooling effect very well. 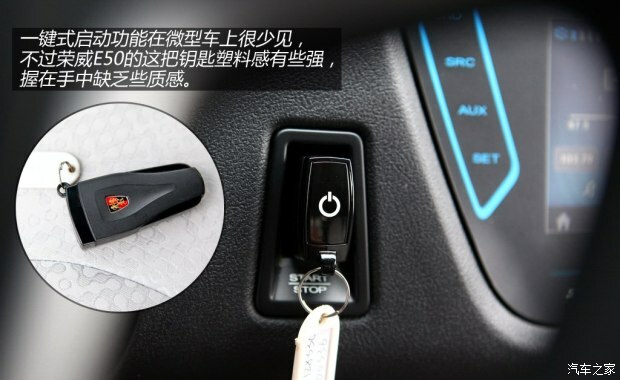 In addition, the Roewe E50 is also equipped with a key to start the system and the SMART HOLD electronic parking brake, which is still in the domestic mini-car for the first time, with automatic release of its official introduction, turn off and unplug the key auto-parking uphill auxiliary functions. 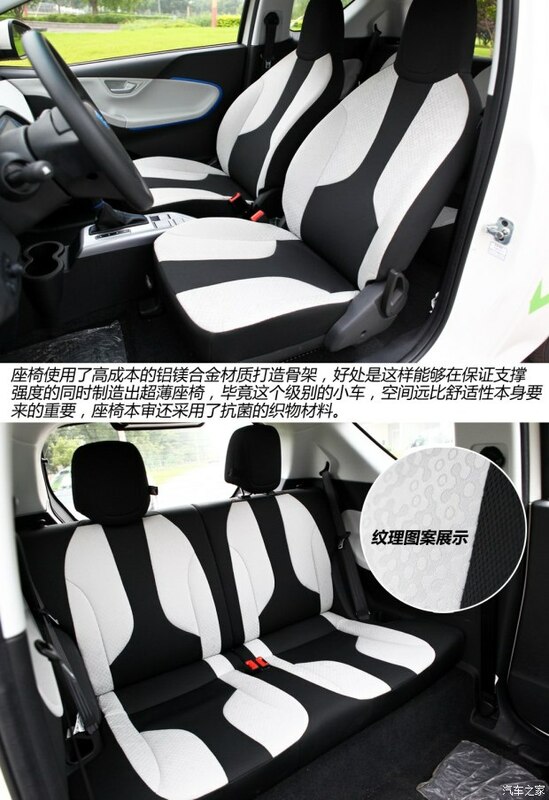 Roewe E50 seats used to build cost-magnesium alloy skeleton, the benefits this can ensure the strength of the support at the same time to create a slim seat, after all, the level of the car, than the comfort of their own space to come to an important . Antibacterial seat itself also uses environmentally friendly materials, with the avant-garde color lines, the visual effect of the real car better than the picture. Front and rear headrest position is higher, to some extent alleviate the neck received by rear-end pressure, but taking into account the reality that many families are cars to use E50 as a nanny, then the rear is not equipped with child safety seats s interface is somewhat justified. Actual performance space, height 176cm heavier occupant living in the front row can get punched around the head space; By this time the front seat if the guarantee does not move, you can get it in the back three fingers Department of Space and the three fingers legroom. Taking into account the Roewe E50 is a standard four cars back neatly designed only two seats, so the actual feelings of living in the back, especially the lateral sense of space is still quite spacious. 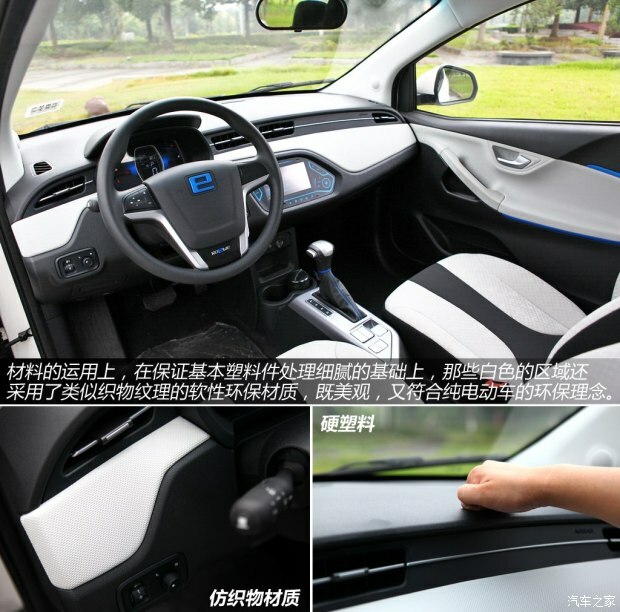 The design of storage space Roewe E50 is quite satisfactory, except for the front door panel to fit water bottles outside nothing flawed. To show 510ml water bottle is still filled with the Kunlun Mountains, car home business partners, before Han Lu has been in their own micro-blog to tell you a. As vehicle mounted battery pack, so Roewe E50 no spare tire, factory prepared for how much space is occupied by tire rubber. Luggage compartment space is nothing to be said, practicality rather limited, basically also be able to put two bags only. 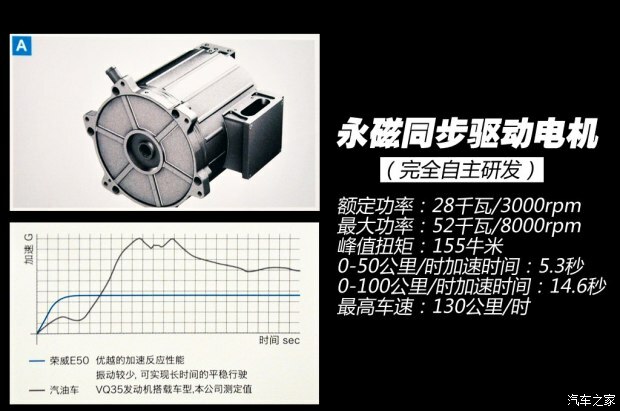 Roewe E50 is equipped with a self-developed by the SAIC permanent magnet synchronous drive motor, rated power 38 horsepower (28 kilowatts) / 3000rpm, maximum power of 71 horsepower (52 kilowatts) / 8000rpm, peak torque of 155 Nm. Factory given 0-50 km / h acceleration time of 5.3 seconds, which is the most economical electric car this airworthiness speed; addition this model 0-100 km / h acceleration time of 14.6 seconds, for a maximum speed of only 130 km / h in terms of the electric car is not too much significance. The highest cost in the vehicle battery, the same is the independent research and development of lithium iron phosphate total capacity of 18 kWh and uses lightweight design, with a total weight of less than 230 kilograms, accounting for vehicle weight less than 1 / 5 weight, unit weight on the energy conversion rate more than 700 kilograms more than the opponent universal battery pack must be high, the cost has to be much lower, and this is the Roewe E50 proud. To 60 km / h constant speed driving conditions, the Roewe E50 Mileage can theoretically reach 180 km. From the manufacturer's data, a conservative set of battery cycle life more than 2000 times, and in the condition of minus 20 ℃ losses can also be controlled at 10% or less. Battery pack free warranty period of five years or 100,000 kilometers, manufacturers promise whenever losses during the warranty period more than 20%, you can unconditionally replace the battery pack, the policy is still quite a force. In addition, the battery pack also passed IP67 grade waterproof and dustproof tests to ensure even up to one hour of immersion, there will not be a drop of water or dust penetration battery pack high security protection. 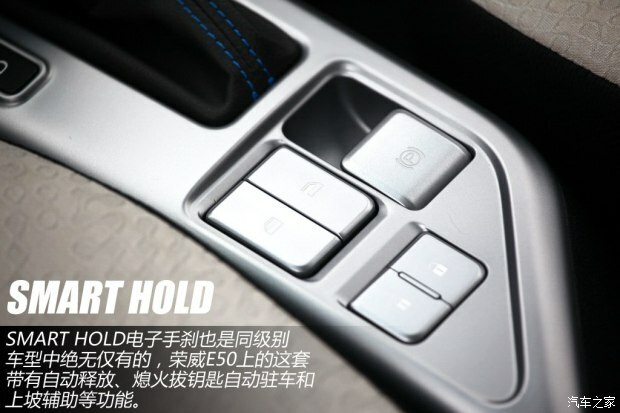 As a result of double-ring, and interior craftsmanship SAIC Roewe also maintained a consistently high quality, so the E50 interior noise effect is quite good. After starting the vehicle able to see the top of the instrument panel shows the green "READY" message, then even a trace of the car radio frequency sound inaudible. Light step "throttle" Start of the moment, and the traditional type diesel considerable differences still exist, pedal feedback is very light, also inadvertently starting the vehicle finish. 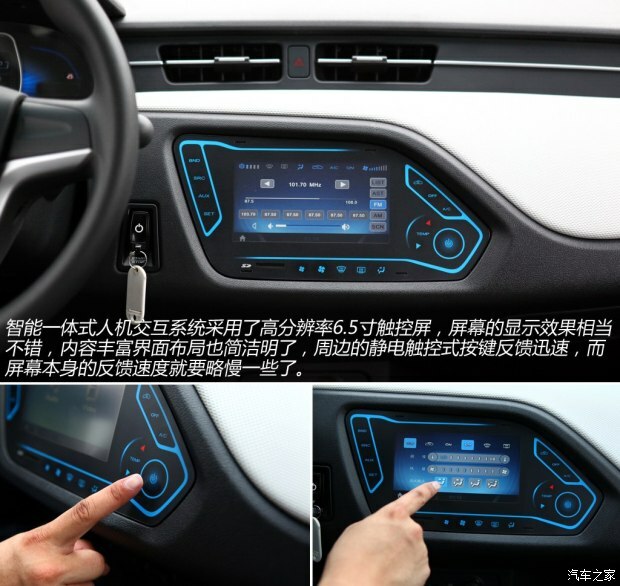 Here is a detail, there is no similar Roewe E50 analog devices like sounder, so low you need to be especially careful when driving around pedestrians, because they have no idea that you have driving a vehicle approaches. Maximum power 71 hp motor drag this curb weight of the car is only about 1 ton effortlessly, even if the car ride and two close to 180cm tall overweight passengers, still able to feel the vehicle start fairly light. With the pedal tread depth, speed linear rather than abrupt, similar to the overall sense of speed equipped with 1.6L petrol engine mainstream models, but the incoming interior noise is basically only tire noise. 30-60km / h is the most economical speed region E50, the battery can be opened for a long time and still maintain the full-cell state, the vehicle of the "throttle" response is also very sensitive. If forced to urge its power to force potential, of course, we can say that is an analog high speed overtaking ability, then Roewe E50 does not disappoint, with a maximum 155 Nm of torque moment of the outbreak, to get the middle speed push back a sense really is not that difficult, just as the battery pack Mileage will be significantly affected. Intensity of the steering wheel just right, and not in order to highlight the so-called pure electric vehicle technology being deliberately light tone, but in everyday driving comfort to ensure appropriate while retaining always such road feel, in short, is very pleasing set of people. As vehicle equipped with occupied vehicle weight 1/5 of the battery pack, making Roewe E50 had to use stiffer springs and shock absorber tube to ensure a certain degree of support resistance, the resulting effect is in the straight roads , because the center of gravity low, combined with a good feel of the steering wheel, the car feels very healthy. Once through the bumpy road or deceleration ridge, or came from the car at the end of the "bang bang when" sound and substantial body up and down motion. 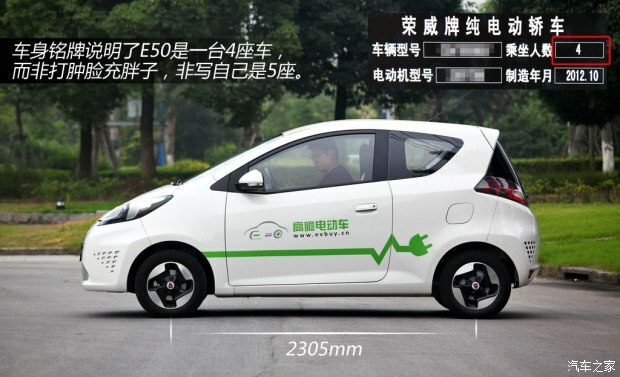 Roewe E50 23.49 million guidance of view is indeed high, the current electric vehicles generally high price is a major reason is to achieve a standard car battery comprising the high, to change this state, only The method can only be state subsidies. Today Shanghai Ji consumers buy Roewe E50, although the 2013 annual government subsidy policy is not clear, but the shop Fangze Ming expressly to be the first manufacturer to implement advance subsidy. After the subsidy, the Roewe E50 actual purchase price of 128,000 yuan, but also comes with a "Shanghai D" free rental license, and comes with free lifetime within 100 kilometers of emergency services. 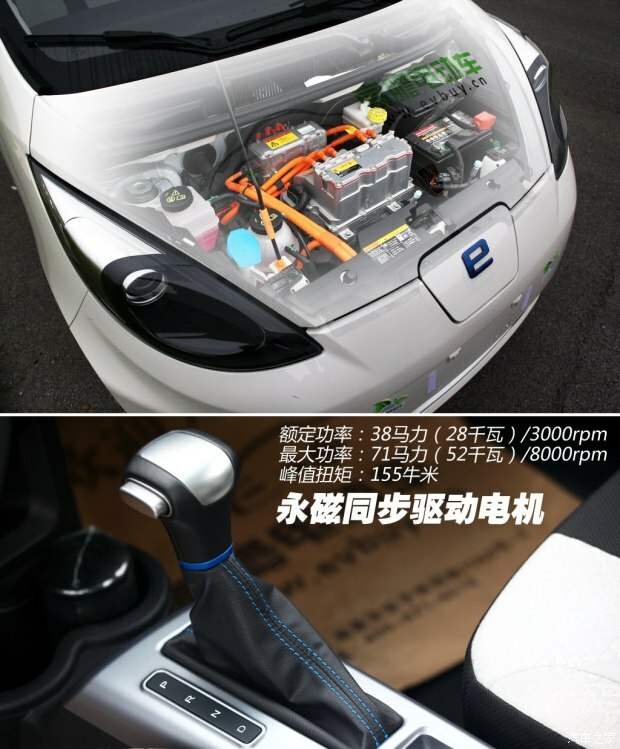 The Jiading District, Shanghai as an international electric vehicle demonstration area, if you are within the region of the user, you can also purchase additional owns E50 charging 15,000 yuan subsidy, that only 113,000 yuan can buy a good electric car plus Shanghai brand, the price is good. Some friends will ask, then at home, how to charge it? For this problem we have consulted the 4S shop, the other reply is as long as you have a fixed parking space, whether it is or have a long-term lease of the property, the shop has the ability to help you to go and residential property consultation to ensure you are able to install on charging pile, charging pile lowest price only million. If you press the daily commute plus weekend trips traveling 50 kilometers an equal distance calculation, the daily electricity costs just $ 4. And using the same level of ordinary internal combustion engine vehicle, then spending at least a day of oil costs 30 yuan, the price difference of up to ten thousand yuan a year to as much. Roewe need to do something about their badge. It looks terrible. MG_A wrote: Roewe need to do something about their badge. It looks terrible. The problem is only that they have the big e badge over the fast charge socket as well, the badge itself is fine and makes the car something special in the Chinese market where all badges are simple chrome designs.